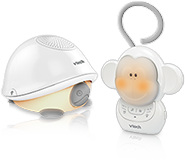 VTech Cordless Phones, Featuring Home Office & Business Phones as well as Conference Phones systems & Baby Monitors. Ready to buy an ErisTerminal® Business SIP Phone? Find manuals, for your products, answers to commonly asked questions and more! Find the perfect accessory handset or battery!